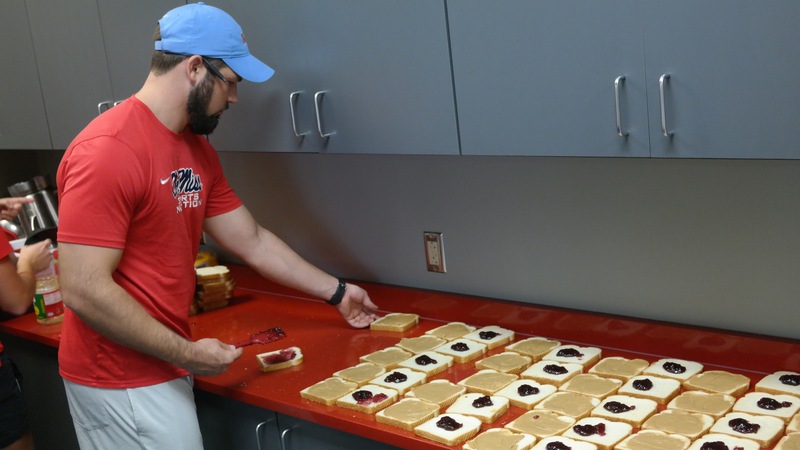 Oxford, MS—Before the Ole Miss football team boarded the bus to Bryant-Denny Stadium in Tuscaloosa, Alabama, Frank Newell and his graduate assistances were up at dawn preparing more than a hundred peanut butter and jelly sandwiches for the Rebels. Created in 2013, the Health & Sports Performance Center helps student-athletes achieve optimal performance using the best practices in sport and health. The Center focuses on a number of areas such as sports medicine, strength and conditioning, and physical therapy. Another important element to the Center is its attention to sport nutrition. To help with nutrition, the athletics department has five fueling stations (also known as Grab-n-Go’s) located throughout its facilities. The stations are packed with fruits, nuts, and liquids for the athletes to take advantage of. There is also the Grill at 1810 located in the Manning Center where Newell helps guide the menu. Sport nutritionist Frank Newell helps make sandwiches for the Rebels. 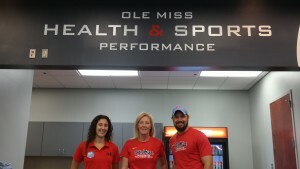 In 2007, Ole Miss Athletics began contracting with the nutrition and hospitality management department to provide nutrition services to athletes. In 2013, the Health & Sports Performance Center was officially approved by the IHL. Now, the Health & Sports Performance Center employs two registered dietitians, as well as a number of graduate assistants to ensure student-athletes are on a proper diet of protein, carbohydrates, calories, and liquids for hydration. “From the coaching staff to the athletes, we hope we’re changing everyone’s mindset on the importance of nutritious food and how we can use it to play better and harder,” Valliant said. 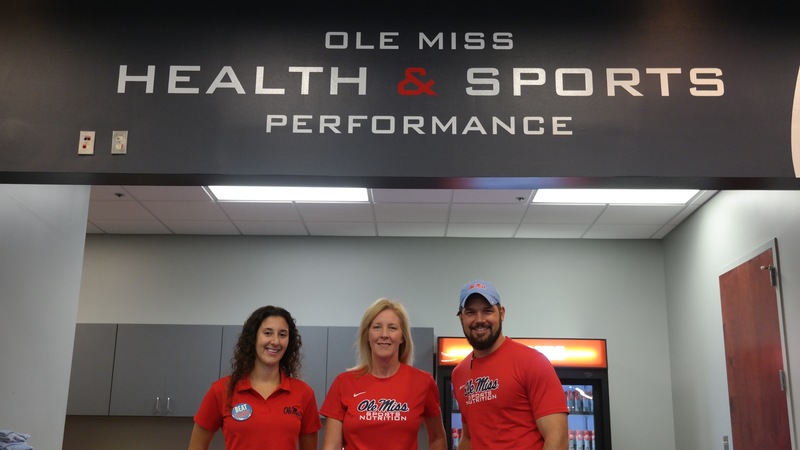 With the continued success of athletics at University of Mississippi, the Sports Nutrition team hopes to keep growing and educating its student-athletes on the importance of a healthy diet.